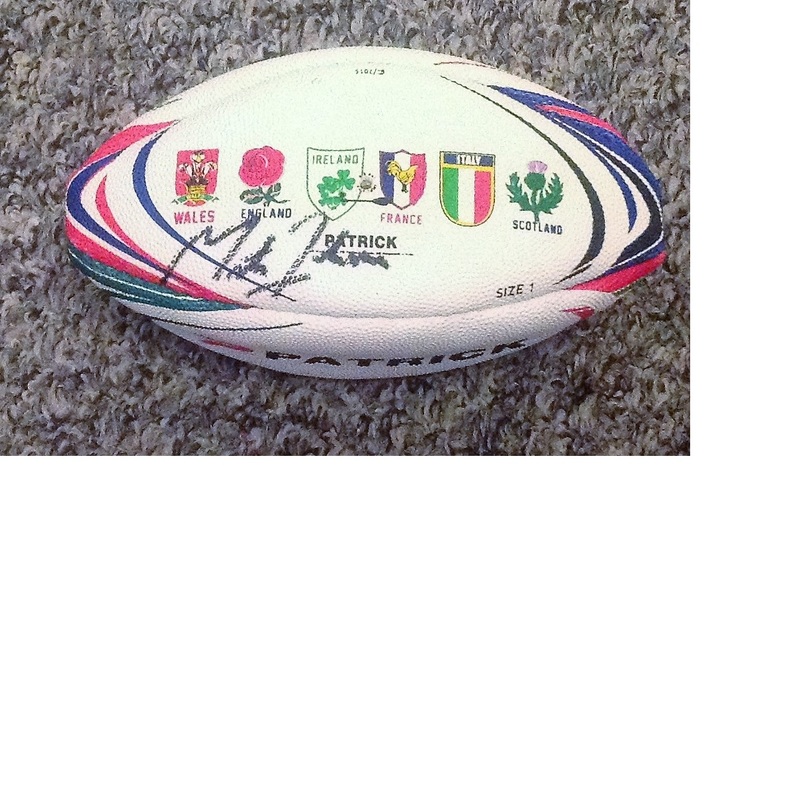 Rugby Union Martin Johnson signed Six nations Patrick miniature rugby ball. Martin Osborne Johnson CBE, born 9 March 1970 is an English retired rugby union player who represented and captained England and Leicester in a career spanning 16 seasons. He is best known for captaining England to victory in the 2003 Rugby World Cup. He is regarded as one of the greatest locks ever to have played, and one of England's greatest ever players. Good Condition. All signed pieces come with a Certificate of Authenticity. We combine postage on multiple winning lots and can ship worldwide. UK postage from £3.99, EU from £5.99, Rest of World from £7.99.